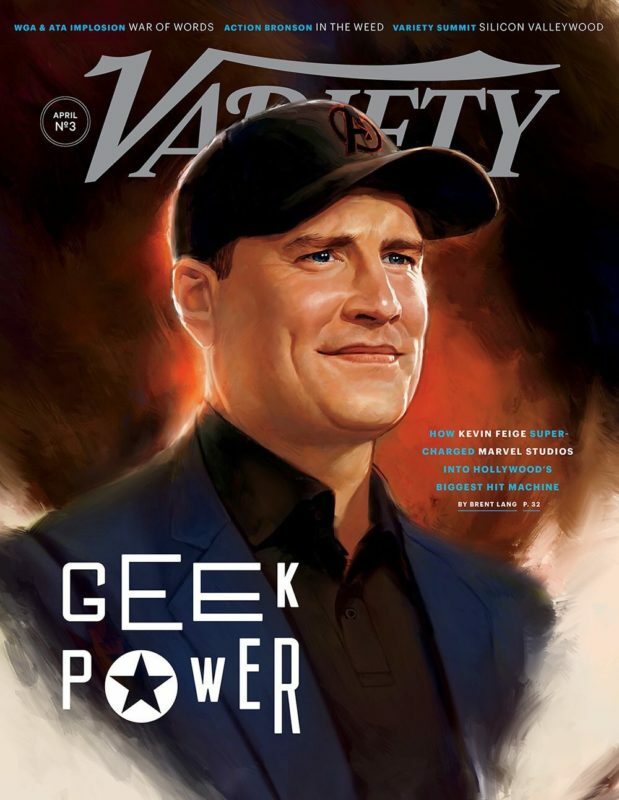 Marvel Studios President Kevin Feige on the Cover of Variety Magazine! The Variety Magazine cover for this week was rendered by the Head of Visual Development at Marvel Studios, Ryan Meinerding. Tagged Marvel, Marvel Cinematic Universe, Marvel Studios, MCU, Movies.